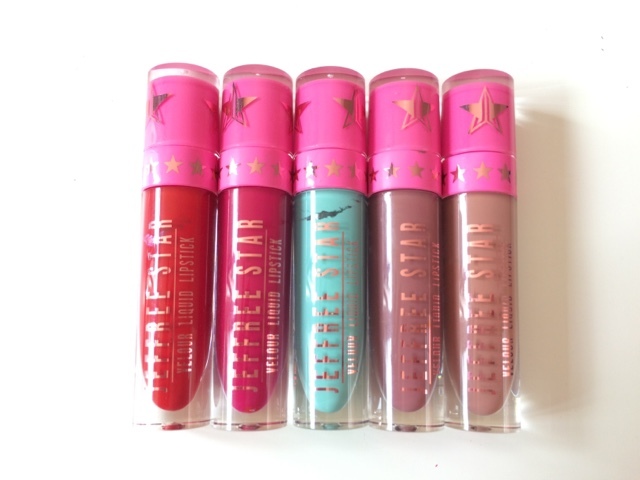 Who doesn't own a Jeffree's Star lipstick yet? Well, you need one in your life because they will change it forever. The first shades I bought were Redrum and Breatfast At Tiffany's, which then the family grew bigger as Celebrity Skin joined along with Masochist and Androgyny a few weeks later. I love the fact that Breakfast At Tiffany's has got the lipstick colour on the sticker, it's so cute and adds a touch of sophistication to the collection. 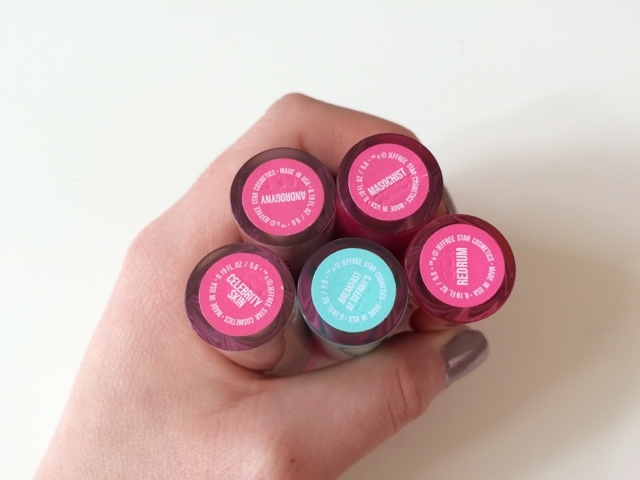 I can't wait to get the new Summer collection shades! 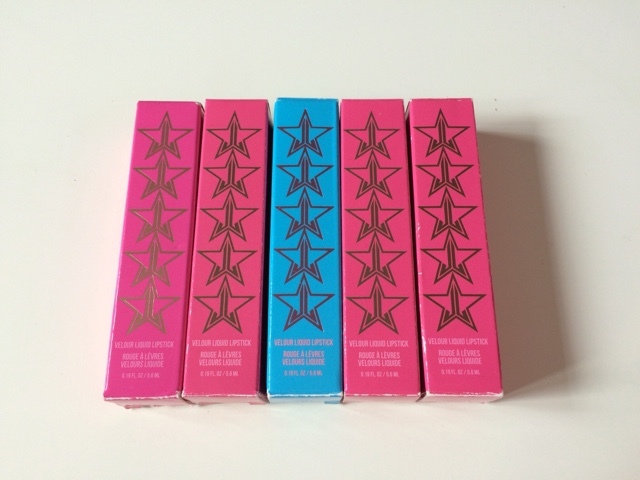 I love the packaging, it's really punk rock with the stars and the bright pink. 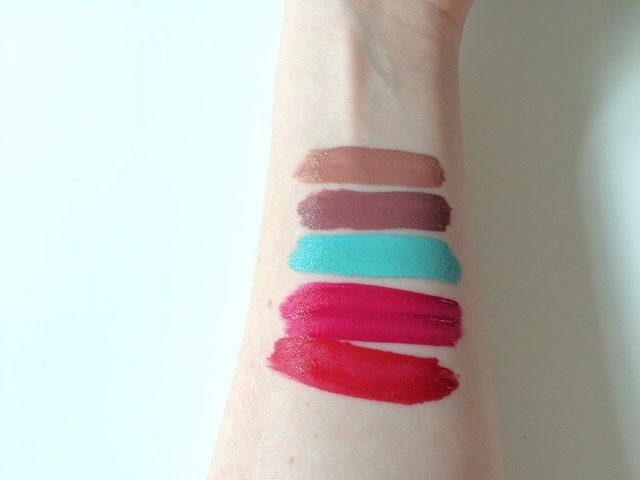 You can see the colours of the lipsticks too which I find very helpful. I hate having to check every one of my MAC lipsticks to find Velvet Teddy or Whirl - no matter how many times I reorganise the stand. I absolutely love the formula of these, it's very wet and velvety (sounds weird, I know) but it applies so well. I feel like I only need one layer of the lipstick for the colour to show which is a m a z i n g! 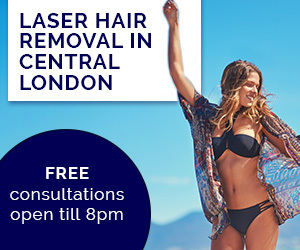 This means it will last you forever, well scratch that - it'll last you longer than majority of liquid lipsticks as you won't need to apply many coats. Also this is very long wearing, I feel like it lasts all day without having to reapply (depending on what shade you're wearing). 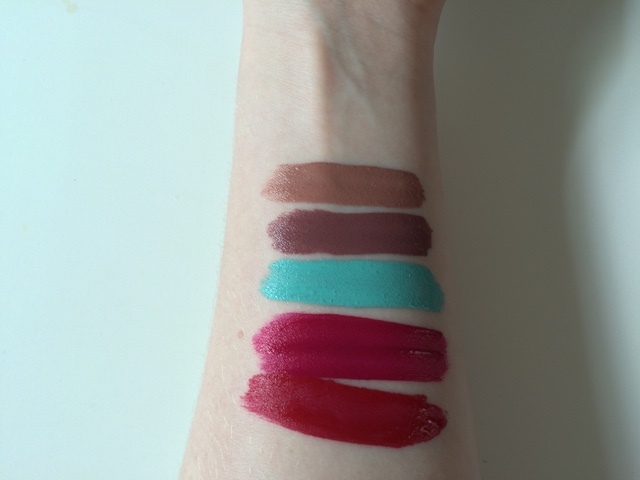 T-B: Celebrity Skin, Androgyny, Breakfast At Tiffany's, Masochist and Redrum. Right, let's get straight to the whole Jeffree, Kat and BJ drama. Have you all seen the posts and videos? I watched them all and read other people's comments to try and figure out what has gone off. Basically, BJ had rung Kat saying that back in the day when Jeffree was setting up his business he asked BJ to design a logo which he did NOT use as he thought BJ was too expensive for him at the time seeing as he invested all his money into his brand so he did not use BJ's artwork therefore did not pay him. Kat then went on and sent a text to Jeffree demanding answers on the whole situation which Jeffree explained in the text. He said he did not use BJ's services therefore did not pay him at the time but he has now so everything was fine between the two - however, Kat maliciously told the Too Faced producers in the warehouse that Jeffree tried to steal her ideas. This, I think is nasty! Why would you say something like that about one of your close friends? Even if it were true, then surely she would have spoken to Jeffree about it first? Seeing as that's what friends do in conflict - they talk things out. She then went on and bashed him in her video here, saying that he's a racist bully who promotes drug use. I'm sorry, but you cannot judge someone by their past. Jeffree is a completely new person to who he used to be many years ago and he had apologised for his previous behaviour. We all make mistakes and wouldn't want to be judged by them, so why did Kat feel the need to say those things about him? About the drug use - he smokes legal marijuana and doesn't promote it - he's open about his lifestyle and it's beneficial for him as he suffers from anxiety and marijuana helps him fight it. At the end of the day, both Kat and Jeffree are amazing entrepreneurs and hold very successful makeup brands, however I am definitely on #TeamJeffree as I believe that Kat should not have spoken out about the situation publically but tried to resolve their issues between the pair. 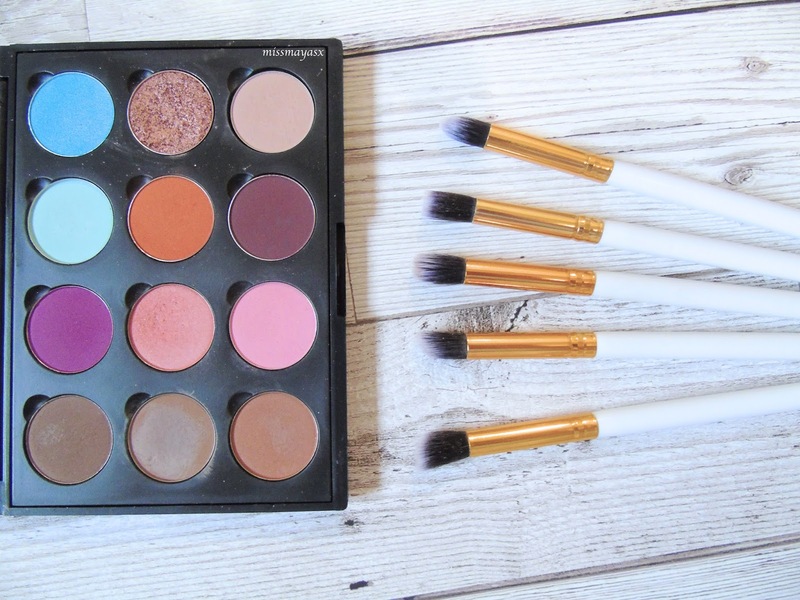 Do you own any of Jeffree's cosmetics? If so, what do you have or would love to own?! And what are your thoughts on the Kat-Jeffree drama?